Well, maybe it does actually clear that decidedly low bar. But it is also far too little, too late to prevent climate catastrophe. Worse, it would enshrine in federal legislation the false notion that by taking baby steps over a period of decades, our country and the world can avoid runaway greenhouse warming. That easygoing strategy is far too weak to handle the emergency we face. Only by pushing greenhouse emissions down to zero within a decade and at the same time building a fair society that can function well without fossil fuels can we keep the Earth livable. The chance that S.987 will become law is of course vanishingly remote as long as we are stuck with the current Congress and White House. Indeed, with its lax provisions and leisurely timetable for cutting emissions, this bill seems to be designed around the assumption that we can afford to wait around for years or decades until there’s a more friendly political climate before taking dramatic action. We can’t. S.987’s passage would be a purely symbolic victory, whether it passes tomorrow or in 2019, 2021, or any other postelection year. Consider one crucial source of emissions: electricity generation. The Merkley-Sanders bill would phase out fossil-fuel-fired power plants—but much, much more slowly than the Earth’s ice is melting. Coal and gas generation would decline from 70 percent of total electricity sales in 2022 to 12.5 percent in 2045, but total consumption would not be capped. Under the generous assumption that consumption stays steady despite population growth, the bill could permit an additional 33 billion tons of carbon dioxide to be released into the atmosphere between now and 2045. That’s approximately 33 billion more tons than we can afford under our already-exhausted carbon budget. S.987 would reduce sales of fossil-fueled vehicles as a percentage of all sales, but without restricting the total number of vehicles sold. And the reduction would start only in 2030; the bill thereby foresees carbon-belching internal-combustion engines plying our streets and highways until well after 2050. It envisions keeping the personal car and truck at the center of our transportation system, the only change being an “electrification” of the vast national fleet. That will greatly increase the burden on power plants and push farther and farther into the future the day when we can meet all demand with 100% renewable electricity. Merkley and Sanders deserve credit for laudable provisions in the bill that would support and protect low-income households during an energy transition; however, we need a much more thorough economic upending that puts the full burden on America’s most affluent 33 percent if climate justice is to be ensured. Otherwise, all S.987 offers other than its dawdling rules on power plants and vehicles are mostly toothless emissions “fees” and tax credits or subsidies for renewable energy or efficient technologies. 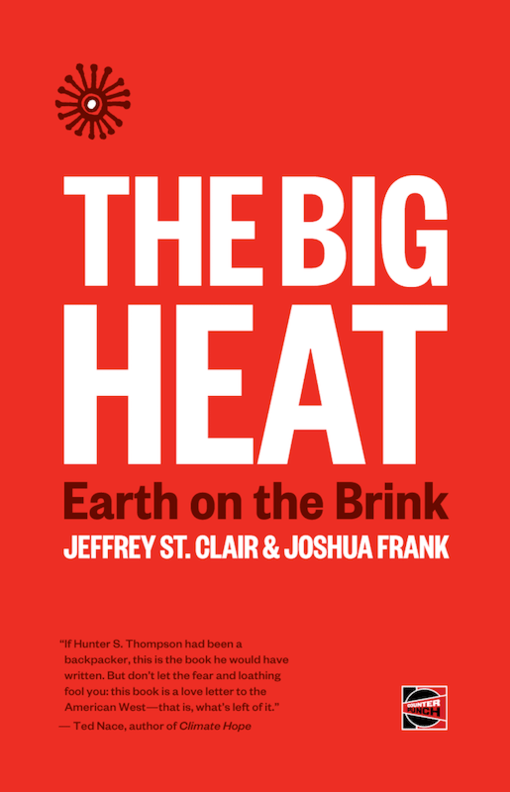 None of those provisions take into account the growing pile of evidence for why fossil-fuel burning must be driven down to zero throughout society on an emergency schedule through explicit regulation of production—of what is produced and how, as we did the wartime 1940s—and not just through guidelines, taxes, and incentives, none of which can guarantee reductions. Nor do they address the broader ecological destruction that must be reversed if climate chaos is to be avoided. S.987 would do no more than America’s soon-to-be-defunct commitments under the Paris deal—a treaty that would have allowed catastrophic warming of more than three degrees Celsius even if America had stayed in. Both Paris and S.987 fly in the face of strong evidence that to maintain safe atmospheric carbon concentrations, emissions must be cut to near zero by 2030. Ironically, 2030 happens to be the year in which Merkley and Sanders would still be allowing 50% of new vehicles and electrical generation to be fossil fueled. I can’t read the mind of anyone, especially a U.S. senator, but S.987 looks like it’s meant to be a compromise banner around which liberals and moderates can rally in these dark political times, and then to serve as a launching pad for action when action is possible down the road. In fact, the bill makes for a lousy launchpad and looks more like a very efficient patch of quicksand. If something like the 100 by ’50 Act becomes law, it will be only after a protracted, politically bloody struggle that will make the battle over health care look like a Sunday School picnic. Then once it finally passes, greenhouse warming will hurtle on past acceptable limits anyway. If we the people are willing to struggle long and hard to keep the Earth livable, we had better fight for a radical transformation that actually has a chance of hitting that goal. Otherwise, by the time any fight for half-measures succeeds in the halls of Congress, it will have already failed in the real world. By then, the buzzer will have sounded; there will be no time for a follow-up shot. Stan Cox (@CoxStan) is an editor at Green Social Thought, where this article first ran. He is author of Any Way You Slice It: The Past, Present, and Future of Rationing and, with Paul Cox, of How the World Breaks: Life in Catastrophe’s Path, From the Caribbean to Siberia.